If you've ever wondered where all of Zara's unsold merchandise goes, there's an answer, which we're now fully aware of thanks to Harper's Bazaar UK. The magazine just shared a Zara lover's dream come true: The retailer has an outlet store, cheekily named Lefties, which was initially created back in 1993 by Zara's parent company, Inditex, as a way to sell off leftover stock, but now has its own collections (as many outlet stores do). There's even a website where shoppers can reserve pieces to be picked up in one of more than 130 stores. 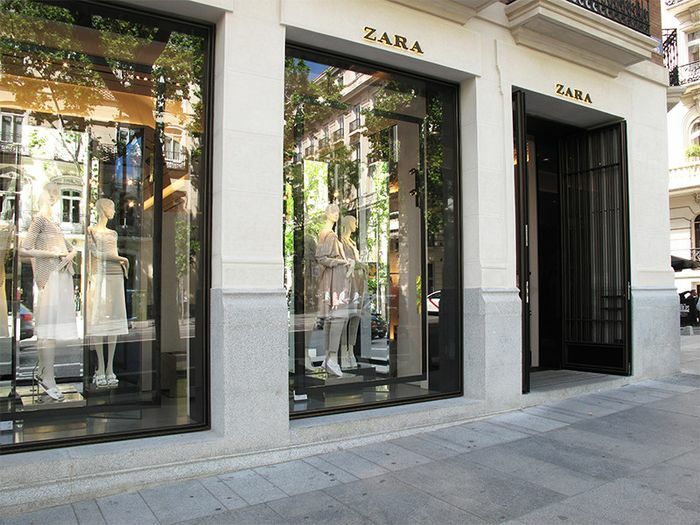 The chain was initially based only in Spain (the birthplace of Zara), but it now has locations in Mexico, Portugal, Russia, and Qatar. While no official plans have been announced to expand (but keep your fingers crossed! ), Harper's Bazaar did note that Lefties' website, campaigns, and shops were recently revamped, and new designers have reportedly been hired, which could all be signs of a forthcoming expansion. And with prices around one-third lower than Zara's original prices, we're quite sure that the retailer would be welcomed with open arms wherever it chooses to land next. Check out the rest of the details on Harper's Bazaar UK. Want more shopping? These are the awesome must-have buys this week.